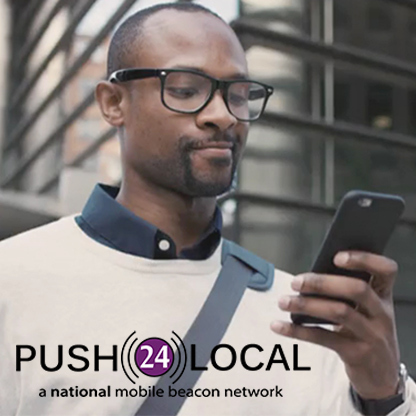 Push Local 24 is Access Mobility 24’s National Mobile Beacon Network. The Push Local 24 Network is designed to reach consumers on their mobile smartphones by implementing the AM24-cThru.us Platform along with the Beacon and Geo-Fencing Technologies. The Push Local 24 Network is being deployed to over 4000 locations Nationally.